Welcome to the first in a series of interviews I’m conducting with authors who write espionage adventure thriller novels similar in style and approach to my own novels. 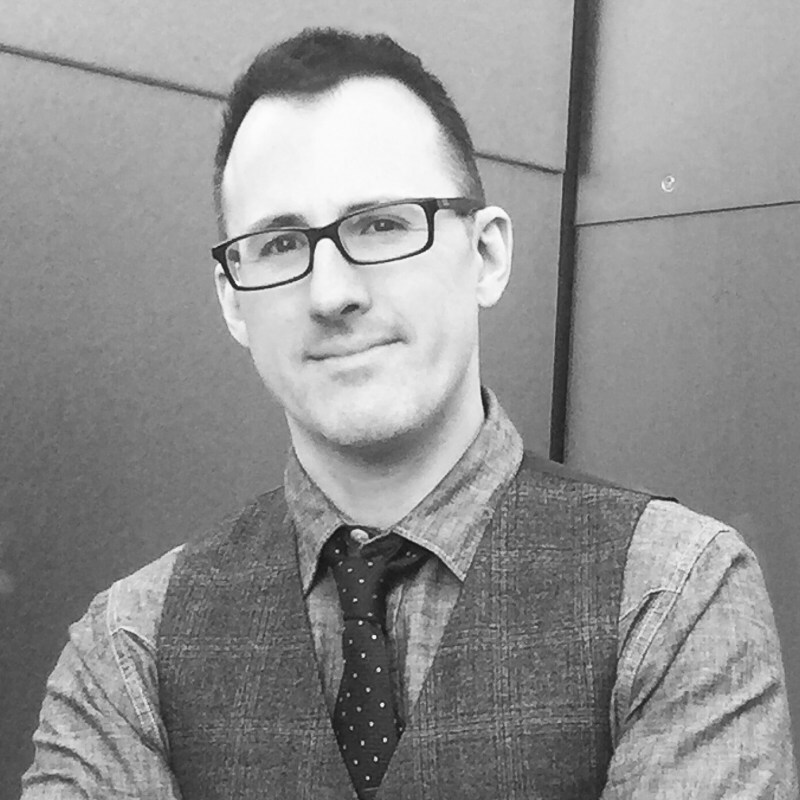 Today’s interview is with Andrew Warren, author of the Far East action adventure novels Devil’s Due (2016), Tokyo Black (2016) and Red Phoenix (2017). All three adventures feature his CIA assassin character Thomas Caine. In a short time, this self-published indie author has raced up the Amazon best-seller list with a series of fast-paced, Asia noir-style espionage thrillers featuring exotic locations, creative action sequences and twisting plots. Born in New Jersey in the United States, Andrew studied film and English at the University of Miami. His more than a decade in the film and television industry working as a post-production supervisor, story producer and writer has equipped him well with the skills to tackle the literary side of book form entertainment. While Southern California is now home, his books have a strong focus on Asia where he has travelled on more than one occasion for background research. AIDEN: How would you describe the kind of thriller fiction you write? ANDREW: Whew! Starting with a tough one, aren’t we? I always have a hard time describing my style of writing, since I write and enjoy many different genres and styles. I like to think of the Thomas Caine series as “action packed vacations for your mind.” They’re spy thrillers, but the focus is more on the characters and settings, rather than detailed politics or technological nitty-gritty. The world Caine inhabits can seem dark and cynical, but at the end of the day, the stories are primarily meant to entertain the reader, and take them on an exciting journey along with the characters. AIDEN: Who is Thomas Caine? ANDREW: Caine is a bit of a cypher, and I like him that way. What little we do know is that Caine was a deadly covert operative, and a member of a secret, off-books kill squad within the CIA. In the middle of a dangerous undercover mission, he was betrayed by his CIA handler, and left for dead in the middle of Afghanistan. 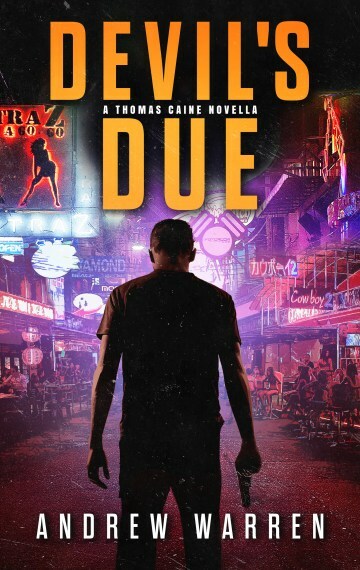 Caine allowed the rest of the world to believe he was in fact dead, and used an old cover identity to set himself up as a low level criminal in Pattaya, Thailand. His betrayal has left him cold, detached, and alone. But his inner guilt constantly drives him to seek some sort of atonement for his bloody past, even though he may not consciously believe such a thing is possible for him. In many ways, Caine is a blank slate. He’s like a canvas for my darker side. After all, who hasn’t felt trapped by their job, or their past mistakes, or maybe betrayed by someone they trusted, at some point in their lives? I think if we knew too much about him, someone with Caine’s skills and background might be difficult for the average person to relate to. By keeping him a bit mysterious, I hope it’s easier for readers to project themselves into the character a bit. I was originally going to write the books in first person point of view, but then I decided the character would be more compelling if we didn’t always know what was in his head, or what he was thinking . . .
AIDEN: Caine is very anti-establishment. Given the state of local politics over the last decade do you think readers relate more to rebel characters than those who work unquestionably for the state? ANDREW: Personally, I’ve always been a fan of darker, more rebellious characters. I prefer Batman to Superman, Han Solo to Luke Skywalker. And while I am a huge James Bond fan, I wanted to do something different with Caine. Taking away that implicit trust and support, that black and white morality, seemed like a way to differentiate the character and the world he inhabits from other spy stories. One reader compared him to Rick Blaine, from Casablanca. Caine’s not as charming as Rick, but I can see where they were coming from. And again, I hope by keeping his motivations more personal, readers can relate to his character a bit more. Because let’s face it, we do live in a complicated world, and things aren’t always simple or clear. AIDEN: If your books were made into movies, who would you want playing the part of Caine, and why? ANDREW: It’s funny; I almost never picture famous celebrities as my characters when I write. I did imagine a couple Chinese performers in Red Phoenix, such as Andy Lau and Fan Bingbing, but that’s about it. In my mind, when I picture Caine’s face, he is always obscured by shadow. Only his blazing green eyes are clear to me. However, one reader recently emailed me about this topic and suggested Tom Hardy for the part. And if Mr. Hardy is interested, I think he would make a stellar Thomas Caine! AIDEN: Your first three novels are set in Far East Asia, what is the appeal about these settings? I think it all started with Japan. I chose Japan as the setting For Tokyo Black, because I had visited there in the past, and the place made a huge impression on me. I absolutely loved it… the food, the culture, everything. A good friend of mine thinks I must have been a samurai in a past life or something. Tokyo is such an amazing city, and Kyoto is probably my favorite spot on the planet. I knew that if I was going to give myself a fighting chance of finishing a novel, I had better set it somewhere I loved writing about. Japan was that place for me. Once I made that decision, the other Far East locations, like China for Red Phoenix, and Thailand for Devil’s Due, just fell into place. AIDEN: Where have you travelled in Asia and what experiences there influenced your novels? ANDREW: So far, I have been to Japan, and China. This spring, I’ll be visiting Vietnam, and I can’t wait! I wouldn’t be surprised if Mr. Caine has an adventure there at some point as well! As I said before, I really want these books to feel like action-packed, mental vacations for the readers. Travel is huge part of that. My trip to Japan was a massive source of inspiration for me. There are locations and characters that I pulled directly from my experiences there. In Tokyo Black, Caine interacts with some yakuza gangsters that use a koi farm as their base of operations. I wandered into that location one night, just walking around the city. It was exactly as I described it in the book, right down to the old man singing to the koi. I didn’t really see any yakuza there, but just the image of those plastic kiddie pools filled with beautiful fish stuck with me over the years. 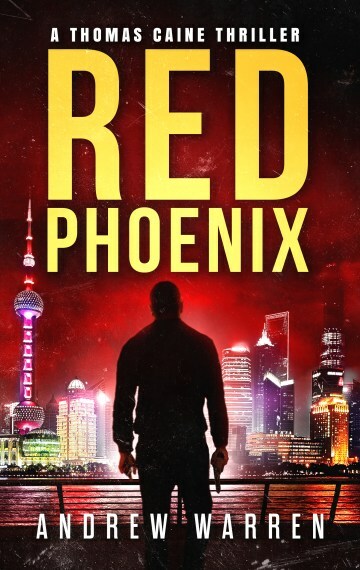 For Red Phoenix, Caine’s journey through the beautiful hutong in Beijing, and the odd, quirky little restaurant he finds there, were based on my actual experiences. I visited that hutong, and the buildings and architecture were stunning. It really did feel like I had traveled back in time, into ancient China. Of course, I wasn’t jumped by attackers outside, like Caine was! I find the world we live in, and the cultures and people that are a part of it, fascinating and beautiful. 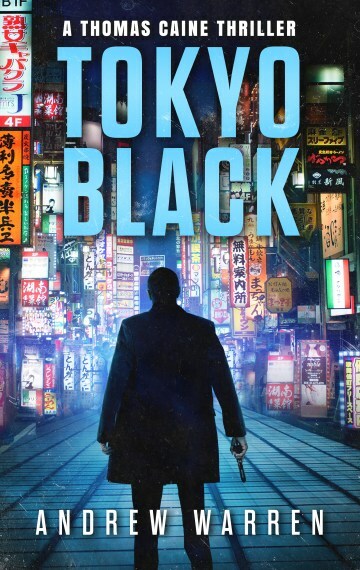 After Tokyo Black launched, one reader emailed me and said that she was a world traveler, but had never been to Japan. After she finished my book, she began planning a trip to Tokyo. That meant so much to me. It was so important to me to convey the excitement and fascination I felt for travel to my readers. When I got that email, I knew that at least for that one person, I had succeeded. AIDEN: Tell us about your latest novel, Red Phoenix? ANDREW: In Red Phoenix, we learn a little bit more about Thomas Caine’s enigmatic past, and the mission that got his partner killed. Flash forward a few years, and Tom is still on the hunt for the corrupt CIA Director who betrayed him. When he finally catches up to his prey, he discovers that his partner’s son, now a young man named Sean, is being held in China on espionage charges. Caine must make a choice: Does he pursue the man who betrayed him, and finally take his revenge? Or will he abandon his hunt, and travel to Beijing to save Sean from a deadly web of conspiracies and killers? He is forced to confront the anger and rage that drives him, and begins to questions himself, and his motives. He has the opportunity to kill the man who ruined his life, but at what cost? Along the way, Caine must also deal with a double agent in the Chinese Ministry of State Security, who has their own reasons for wanting Sean dead, as well as a triad gangster with some deep-seated rage and anger issues of his own! It’s a stand-alone spy thriller, and it definitely tells its own complete story. But if you’ve read Devil’s Due and Tokyo Black, there are plenty of callbacks, character developments, and Easter eggs that will bring a smile to your face. AIDEN: Why did you choose the path of an Indie/self-published author? ANDREW: Working in the entertainment industry, you are usually collaborating, both creatively, and financially, with many other people. That’s great, and I have no problem with that. But I also wanted a chance to do something just for me . . . something that was all mine, succeed or fail, sink or swim. Self-publishing gave me that opportunity, and I’m happy to say things seem to be working out! AIDEN: Your books are more polished than most Indie/self-published authors, has your experience as a writer and director of films helped your writing? ANDREW: I don’t know if my editor would agree with you there! But one thing screenwriting does teach you is a strong sense of story structure. In a screenplay, each page equals one minute of screen time, give or take. So if the average movie is 90 minutes long, that means you have 90 pages to tell your story. Act breaks and plot points are timed to the page, and you learn very quickly that there is no room to waste time . . . every scene must advance the story, there is simply no time for filler. In some ways, that actually made fiction writing harder for me. I was looking for that strict, precise structure that a screenplay has, and without it, I found myself somewhat lost. But luckily, I think I was able to adapt and translate my screenwriting style to my books. A lot of people have told me that when they read my books, they picture them as movies in their heads. I’d like to think my background is a part of that. AIDEN: How did you get into the film industry? ANDREW: Easy answer: Star Wars. I saw that movie when it came out, and it blew my childhood mind. I wanted to be Han Solo so badly! I told my dad I wanted to become an astronaut, so I could fly spaceships like the Millennium Falcon. When he showed me that real rockets and spaceships didn’t work like that, I shifted me focus. I knew the spaceships in the movies were miniatures . . . big toys really. And if I couldn’t fly spaceships like that for real, then I sure as hell wanted to play with those toys! From that day on, I was focused on working in the film industry. AIDEN: You cite Haruki Murakami as a huge influence on your writing and you mention him in Tokyo Black several times. What aspects of Murakami’s style appeals to you? ANDREW: I find Murakami’s books deeply immersive, although in a very different way from other writers. When you read one of his novels, you really feel you are in his Japan, be it the massive, sprawling city of Tokyo, or a tiny, secluded town in the countryside. Murakami uses a surreal, dream-logic to evoke memories and feelings. It may seem like a strange fit for an action-packed spy novel, but I do try to capture some of that sense of surreal, otherworldly strangeness in my books. AIDEN: There are rumors that the Thomas Caine novel you are currently writing is set in Africa. Can you give us any hints on what to expect in this book? ANDREW: Well, I’m still in the early plotting stages, so I don’t know everything that will happen myself. But I can say that once again, Caine is going to confront a monstrous figure from his past . . . Before I mentioned that thus far Caine has been driven by more selfish motives. This time, I’d like to see what happens when Caine find himself drawn into a conflict by his more idealistic side. He’s looking to right a wrong, to slay a monster that he helped create, years ago. Plus, all the usual action, mayhem, and violence that Caine is known for, of course! Bernatto may return as well, and I think we’ll get another glimpse at the grand, dark conspiracy of betrayal that has been building in the background. But as I said, we’ll just have to see . . .
AIDEN: Where can readers find your books and how can they contact you? ANDREW: Thank you for setting up this interview Aiden! I really appreciate it, and I hope your readers enjoy a glimpse into the world of Thomas Caine. Red Phoenix, Devil’s Due and Tokyo Black are available now at Amazon. If readers want to know more about my books and what I’m working on, they can visit my website at www.andrewwarrenbooks.com. They can also drop me a line on Facebook: @andrewarrenbooks, or Twitter: @aawarren71. And if anyone has any questions about Thomas Caine, self-publishing, or writing in general, please don’t hesitate to contact me . . . I’ll do my best to answer! AIDEN L BAILEY is the author of the mind-bending, espionage adventure thriller novel, THE BENEVOLENT DECEPTION, described by readers as a “thought-provoking and utterly unique thrill-ride.” In 2017 he will be conducting a series of interviews with upcoming and established thriller fiction authors. Sign up to Aiden’s MAILING LIST to stay informed of new interviews as they are released and learn more about Aiden’s fiction.